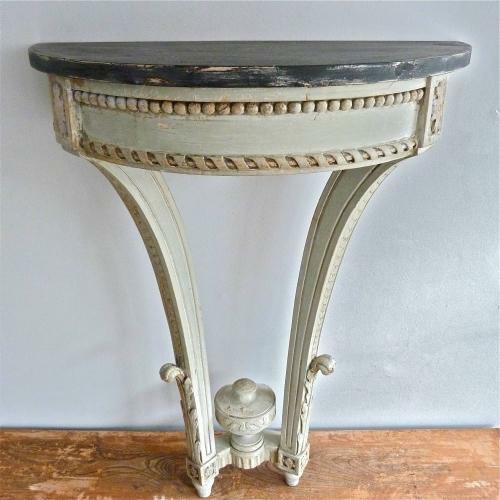 Elegant, highly decorative Louis XVI style console table. Richly carved with wonderful original paint and traces of time worn gilt, this compact table would suit a number of situations. Later paint to top. Circa 1870.